Purchase Tickets Online, by phone at (208) 522-8363, or drop by the ballpark. The Melaleuca Field box office is currently open 9 a.m - 5 p.m Monday - Friday. Fans 2 and under are free. Gates open 60 minutes before first pitch. Join us at Melaleuca Field for a night of Chukars Baseball! Net discounts for youth, seniors, military and advance purchases. You own your seats! 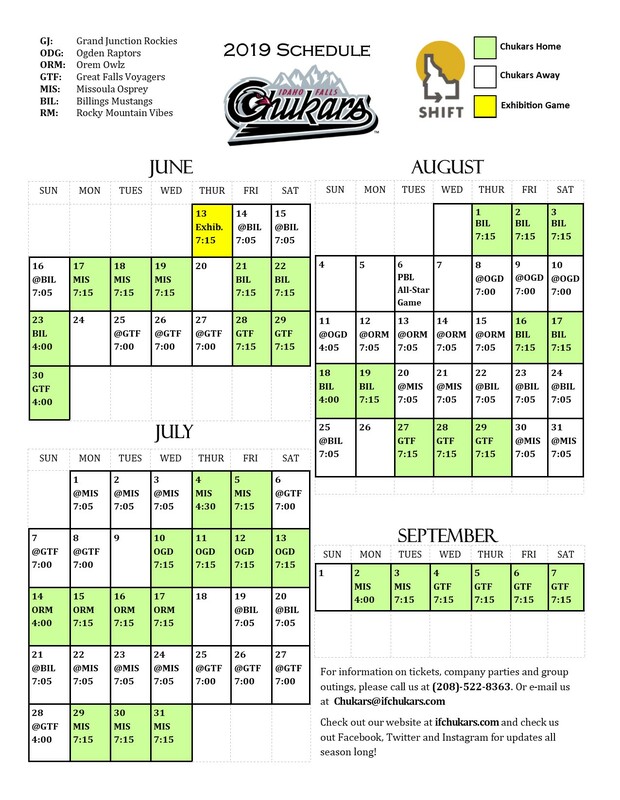 Lock in your favorite seat for all 38 home games at Melaleuca Field. For groups of 20 or more the Chukars offer discounted ticket rates. Perfect for family outings & corporate events. Check out our BBQ and Picnic areas and Outback Suite rental. The best deal in town. Join the Jr. Chukars Kids' Club today and receive a 5 game punch pass, Kids' Club t-shirt, an exclusive clinic with Chukars players, membership card, and more! Celebrate your special day with the Chukars! Multiple options available that include an in-game meal, Chukar player appearances, the opportunity to participate in between inning promotions, and more!